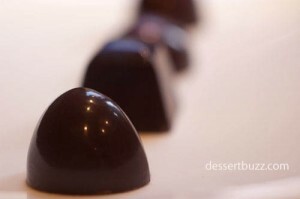 If you think a box of chocolates as a gift is “old school” or something your parents generation did, it’s time to get over that because New York has some great chocolate makers that specialize in small batches. These shops offer about a dozen different types of ganaches and individual chocolates- but each one is usually very special. 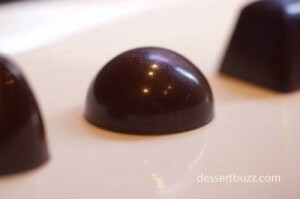 One day back in June the DessertBuzz team visited a few of the best small shops in Manhattan, Bespoke Chocolates, Bond Street Chocolate and Kee Chocolatier. You could easily miss Bond Street Chocolates 1) it’s not on Bond Street and 2) the tiny shop is below street level and very understated. Understated but cool Bond Street Chocolates reminds me of the New York City I grew up in. Unfortunately it’s a part of a dying breed on New York Stores – special one-of-a-kind shops with character that can’t be found anywhere else. The staff is also super friendly and knowledgeable about all their products. Bond Street has the best “standard” dark chocolate ganache I have had in a long time. I consider the dark chocolate ganache to be the benchmark. Why? Because before you can get fancy with elderberry root and roasted valencia peanuts you have to able to make the basics. At least that’s what I think. Most of the Bond Street chocolates, including the plain chocolate ganache, have an impossibly thin top layer of chocolate surrounding their soft or fluid-filled centers. I can’t imagine how difficult it is to accomplish this or how much time it took to perfect this technique – all I know is I like eating it. 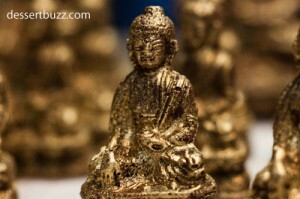 Each piece of chocolate is really a little work of art and to drive home that point Bond Street sells beautiful gold dark chocolate Buddhas in two styles that will elicit an “oooh” from even the most jaded New Yorker. I can’t think of a more perfect gift than one of these dark chocolate Buddhas. Aside from their great standard chocolate ganache, I also recommend their Tequila Herradura Ganache and Haitian rum chocolates. 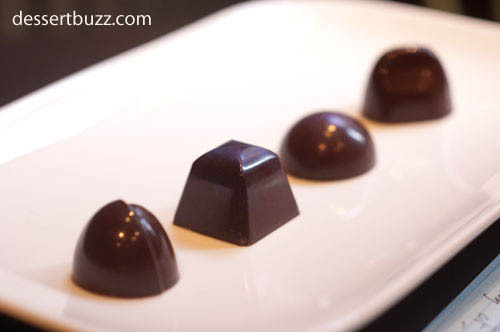 The dry tequila which is devoid of any sweetness matches up perfectly with the dark chocolate. The tequila ganache is quite unusual in that you can really taste the tequila. I would even say you actually experience the tequila. If you had 6 of these (something I might do) you would catch a nice buzz. The Haitian Rum has a similar sensibility to the Tequila except that rum is a much sweeter alcohol so the overall “sweet factor” of the piece is increased. Which of the two you prefer will depend on your fondness for said sweet factor. If you like rum you should try one of these anyway, even if you think it will be too sweet as none of the Bond St. chocolates were too sweet. 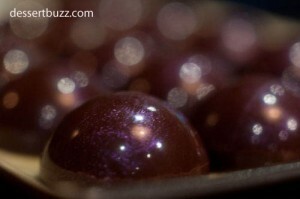 The other member of team DessertBuzz really liked the Passionfruit caramel ganache as well. I think I liked it too but recused myself from judgement since on this day I had already consumed 3 rounds of chocolates, two slices of the World’s Best Chocolate Cake and some macarons and could not be counted on to judge anything sweet for at least another 4 hours. 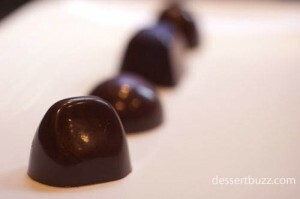 Bond Street Chocolate is located at 64 East 4th Street.